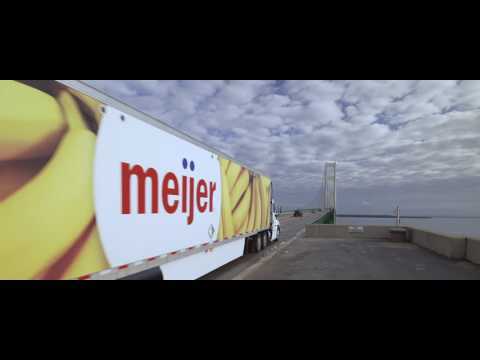 As Meijer prepares to open its first stores in the Upper Peninsula of Michigan, a long-time Meijer fleet driver made the historic first trip across the Mackinac Bridge. The first Meijer stores in the Upper Peninsula will open on May 18, 2017. Meijer leadership and local dignitaries will dedicate each store’s first day of business with a ribbon cutting ceremony. The Escanaba and Sault Ste. Marie supercenter are two of seven new stores Meijer is opening in Michigan, Indiana and Wisconsin this year.